They have a off in the U.S. so if you are interested in getting one of these units the contact information is below. Mark 8:38 Whosoever therefore shall be ashamed of me and of my words in this adulterous and sinful generation; of him also shall the Son of man be ashamed, when he cometh in the glory of his Father with the holy angels. Feb. 26, 2019 Will President Trumps Peace Plan bring out the Antichrist? You should also read the report below! February 25, 2019 Those mass deaths keep climbing! Hosea 4:1-3 Prophecy Sign: "There is no faithfulness, no love, no acknowledgment of God in the land. There is only cursing, lying and murder, stealing and adultery; they break all bounds, and bloodshed follows bloodshed. Because of this the land mourns, and all who live in it waste away; the beasts of the field and the birds of the air and the fish of the sea are dying. Since 2009, I have been watching what has been happening to our food supply. Since 2009, I have seen thousands of reports showing the mass deaths of the birds, fish, and animals. What you will see below are the newest reports that have come in and these will not be the last because as Jesus warned we are in the birth pains of the last days. In chapter 17 of my book you will see the chapter entitled: Plague of Diseases on Animals, Birds, and Fish. It would be a good idea for you to see what we are up against as these mass deaths are a last days sign. Jesus told us in the last days the people would be starving. The deaths of the birds, fish, and animals, is only the beginning of what is coming. February 9, 2019 - Tons of dead fish are taken from the Castanhão dam in Ceará, Brazil. February 10, 2019 - Dozens of water birds found dead on a lagoon in Cochabamba, Bolivia. February 11, 2019 - Mass die off of sea birds found along the coast of Crimea. February 11, 2019 - February 11, 2019 - Hundreds of dead fish wash up on a beach near Piriapolis, Uruguay. February 12, 2019 - Thousands of dead cuttlefish wash up on a beach in Chile. February 14, 2019 - 31,000 cattle dead during past 3 months due to drought in Colombia. February 14, 2019 - 1,800+ dairy cows dead due to blizzard in Washington State, America. February 15, 2019 - 12,000 fish found dead in the waters of Antioquia, Colombia. February 18, 2019 - 32,500 Chickens killed due to avina flu in Changhua County, Taiwan. February 18, 2019 - Large die off of fish in a lake in Libya. February 18, 2019 - Mass die off of fish due to heat in Cartagena, Colombia. February 18, 2019 - Thousands of fish die in a canal in Magdalena, Colombia. February 18, 2019 - Mass die off of fish in a river in Orbyhus, Sweden. February 18, 2019 - 600 dead dolphins have washed ashore this year on beaches in France. February 21, 2019 - “Zombie deer disease,” a mad cow-like infection spreading in the US, explained, USA. Matthew 24:7 "For nation shall rise against nation, and kingdom against kingdom: and there shall be famines, and pestilences, and earthquakes, in divers places." As far as the birds, fish, and animals go there are many reasons why there are mass die offs. Droughts, disease, major storms, war, climate changes are all examples of what has been killing off our food supply. There is yet another way in which we see our food supply taken from us and that is by Locusts swarms that devastate crops. Right now Egypt and Saudi Arabia are in the midst of one of these locust plagues. After a wave of strange phenomena Egypt and Saudi Arabia are currently struggling to cope with swarms of locusts; and the plague promises to only get worse. 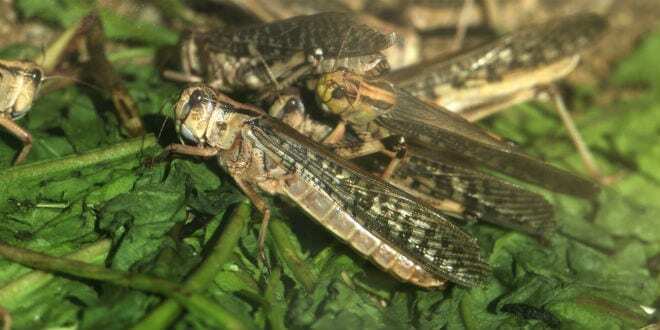 Unusually heavy rains this month are leading to the second generation born of a wave of locusts that first appeared in Sudan and Eritrea in December. “Once vegetation begins to dry out, adult groups and a few swarms are likely to move north along the Red Sea coast in Eritrea to Sudan, and from the Red Sea coast of Sudan to the Nile Valley in northern Sudan,” said the United Nations Food and Agricultural Organization (FAO). The agency monitors desert locust outbreaks, which can have devastating impacts on crops and regional food supplies. “Who opposeth and exalteth himself above all that is called God, or that is worshipped; so that he as God sitteth in the temple of God, shewing himself that he is God" (2 Thessalonians 2:4). One of the major last days signs that shows us we are very close to the Lord's pouring down of His wrath is the building of the Third Jewish Temple. I have been warning people for years this Third Jewish Temple will be built soon. One of the major problems for Israel and the Muslims is ownership of the Temple Mount area. This area belongs to the Jews since 1967 however, the Jews since 1967 have allowed the Muslims run what happens on the Temple Mount. Over the years the Muslims have been pushing their way on the Mount and this has meant, they want to keep the Jews off the Mount as much as possible. Recently the Jews have been pushing back and now the Muslims are concerned that Israel is going to force their way back on the Temple Mount and have just as much rights on that Mount as do the Muslims. This current violence on the Mount is just another one of the stepping stones showing us the Jews will in fact begin to take control of the Mount and as the prophecies tell us they will even build their Temple on the Mount. The question everyone is asking who knows the prophecies is will the Jews take over the Mount via a new conflict or, will there be some type of peace agreement which in that agreement the building of the Jewish Temple will be allowed. Take this to the bank, look for this Jewish Temple soon because it is coming and the prophecies you read above will all be fulfilled just the way all these other last days signs are taking place. "The word of the Lord came to me: ‘Son of man, set your face against Gog, of the land of Magog, the chief prince of Meshech and Tubal; prophesy against him and say: ‘This is what the Sovereign Lord says: I am against you, O Gog, chief prince of Meshech and Tubal. I will turn you around, put hooks in your jaws and bring you out with your whole army—your horses, your horsemen fully armed, and a great horde with large and small shields, all of them brandishing their swords. Persia, Cush and Put will be with them, all with shields and helmets, also Gomer with all its troops and Beth Togarmah from the far north with all its troops—the many nations with you’’” (Ezekiel 38:1-6). “‘This is what the Sovereign Lord says: On that day thoughts will come into your mind and you will devise an evil scheme. You will say, ‘I will invade a land of unwalled villages; I will attack a peaceful and unsuspecting people—all of them living without walls and without gates and bars’’” (Ezekiel 38:10-11). “And I will plead against him with pestilence and with blood; and I will rain upon him, and upon his bands, and upon the many people that are with him, an overflowing rain, and great hailstones, fire, and brimstone” (Ezekiel 38:22). “And I will send a fire on Magog, and among them that dwell carelessly in the isles: and they shall know that I am the LORD” (Ezekiel 39:6). God warned us in the last days Iran would take part with many other nations in an attack on the nation of Israel and try to destroy the Jewish nation. Today Iran who is known as Persia in the Old Testament is a bitter enemy of the Jewish nation and on many occasions Iran has stated they are going to attack Israel soon. Below is an example of yet another one of these threats. 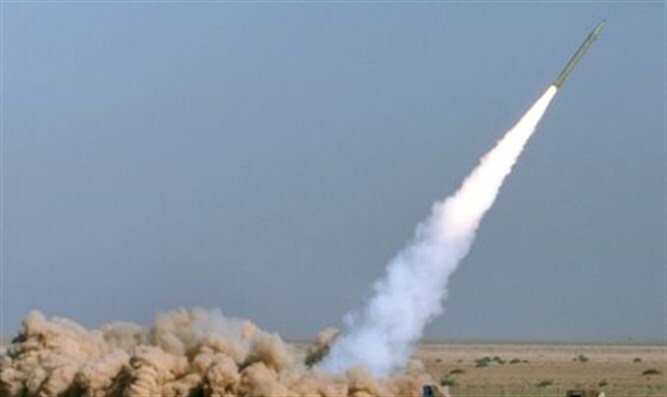 War against Israel is coming and Iran will be involved in that attack just as God showed the Prophet Ezekiel.